I have searched on Google but have struggled to figure out what they are and what they are for. 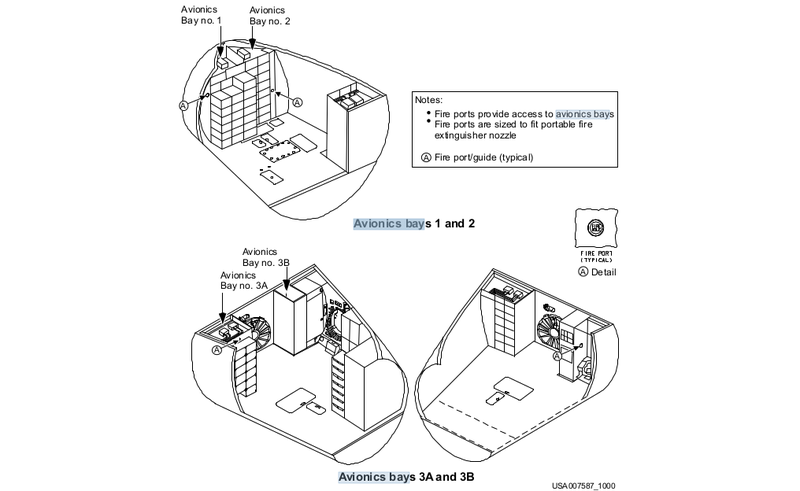 Here is the figure in the Italian version, hope it will help. tl;dr that picture is very poorly labeled and contains at least two errors. This is probably the original that has been copied over the years, from the 1982 Shuttle News Reference . 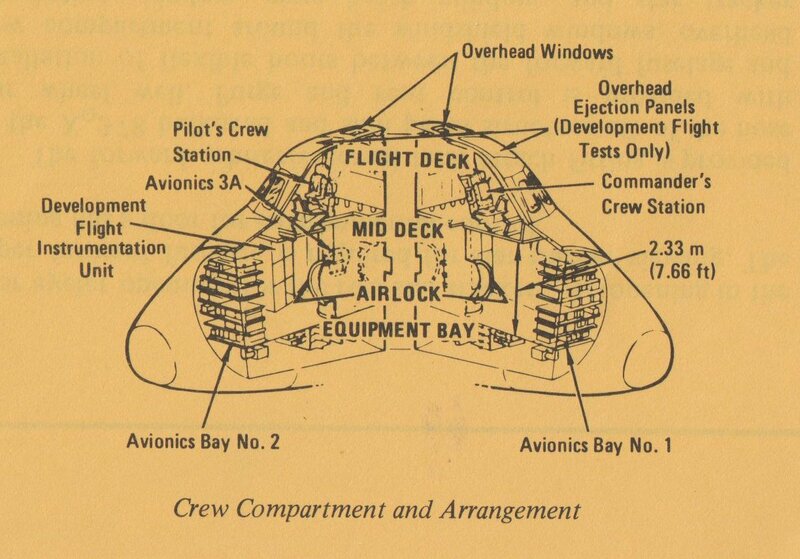 The "instrumentation rack" in your drawing appears to refer to the Development Flight Instrumentation Unit, a rack of instrumentation flown only during the early "developmental" flights of the first Orbiter, Columbia. 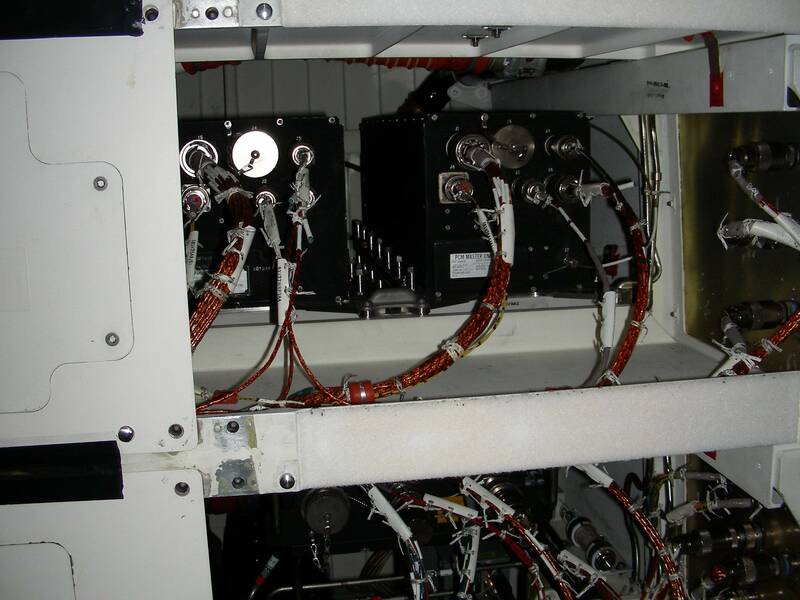 Here is a picture I took of equipment in one of the avionics bays in an Orbiter when it was in the Orbiter Processing Facility (OPF). 'Aluminum plate' and 'open grid panel' appear to refer to structural elements, although 'open grid panel' is an error. 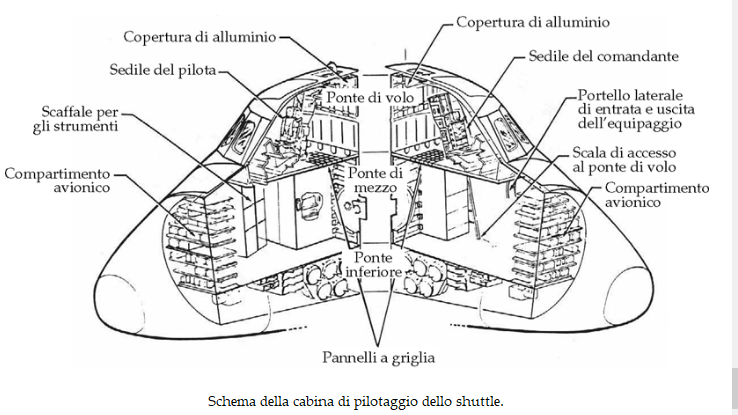 The picture shows it between the flight deck (upper compartment) and mid-deck (lower compartment) but there was no grid there, just two rectangular access holes. You can see in this picture from the STS-131 mission that there is no open gridwork in the area called out in the illustration. 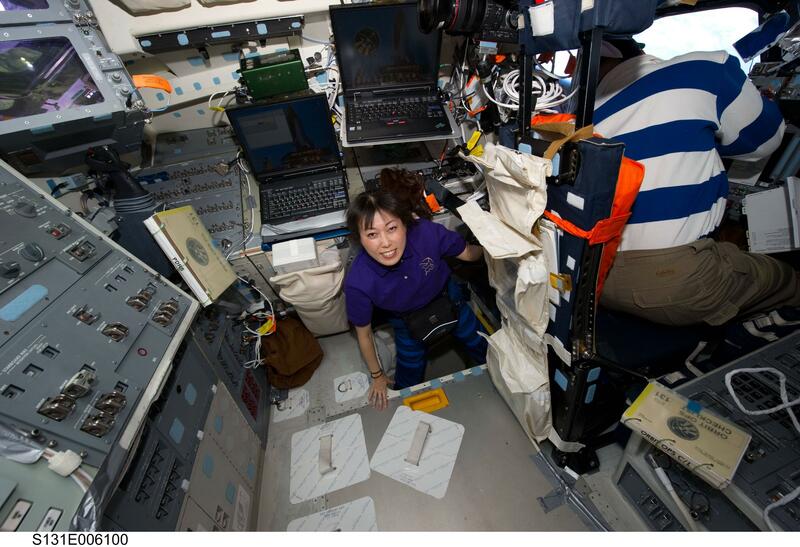 Mission Specialist Naoko Yamazaki is in one of the access holes. The 'lower deck' shown in the illustration was commonly referred to as the 'Lower Equipment Bay' or the 'ECLSS1 bay', and was quite cramped. The beer-keg-like cylinders in the drawing would seem to be the supply and waste water tanks, which were indeed located in that area. 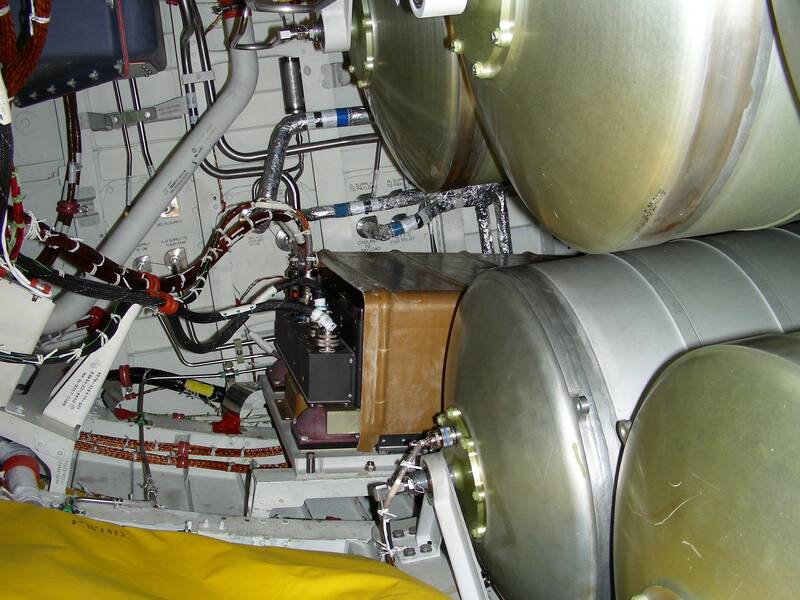 Here (again from an Orbiter in the OPF) is a picture of those tanks I took in the Lower Equipment Bay. Not the answer you're looking for? Browse other questions tagged crewed-spaceflight spacecraft nasa space-shuttle or ask your own question. 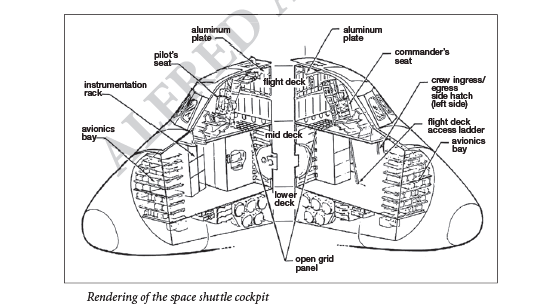 Why did the design for Space Shuttle docking change?